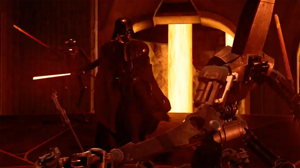 Star Wars Vader Immortal VR Series Trailer Reveals Story, Gameplay - WebGamer.NET | The Website for Gamer. Mustafar, lightsabers and a wise-cracking droid. A new trailer for Vader Immortal: A Star Wars VR Series - Episode I reveals new aspects of the game’s story and gameplay.